Fit Tip: If you order a salad, make sure to get the Fat Free Honey Mustard Dressing for 60 calories, or, better yet, the Light Italian Dressing for 15 calories. They also offer a Reduced Fat Berry Balsamic Vinaigrette for 70 calories. 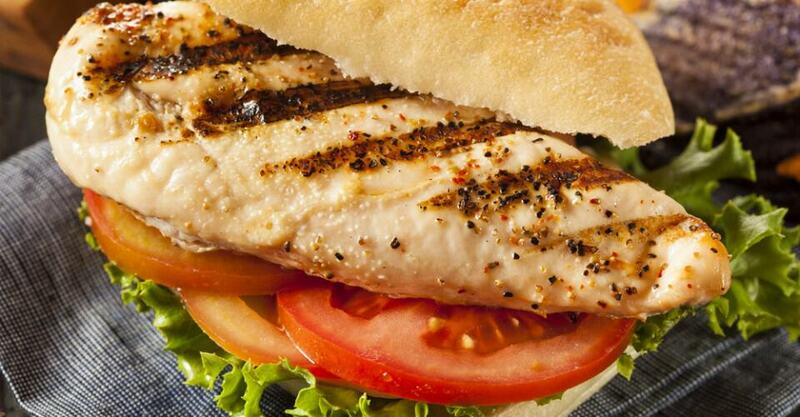 You can also get a Chargrilled Chicken “sandwich” without the bun and pickles for only 250 calories. If you do have the bun, ask for it without butter. And try the Diet Lemonade — a medium has only 20 calories. Fit Tip: Figuring out the nutrition at Chipotle isn’t easy. They do their best to avoid offering totals on nutrition, believing that because they use what they consider better ingredients, the calories don’t matter. Unfortunately, even though using better ingredients is important, calories still matter. For instance, a Fajita Burrito with peppers and onions, rice, beef, guacamole, salsa, cheese and sour cream adds up to more than 1,100 calories — wow, that’s the same as two McDonald’s Big Macs in terms of calories. The good news: You can pick and choose the ingredients you want. Make sure to skip the rice and the burrito’s flour tortilla. You’re better off without sour cream and cheese, too. Fit Tip: Wow — have you seen the calories at this restaurant? Most foods top the 1,000-calorie mark. Try to stick with the Ensalada, and to save more calories try to order it without the tortilla strips. Make sure to avoid the Tostada Salads — they range from 1,010 to 1,230 calories per salad — and that’s without the dressing! The soups can be low in calories if you have them as a meal. You can also try the Mango Chipotle Chicken Salad without the shell and dressing — that’s 390 calories. Fit Tip: Boston Market also offers a selection of meal combinations that are under 550 calories. They even have fresh steamed veggies, green beans or seasonal fresh fruit salad for only 60 calories – pretty good deals. Fit Tip: The bun is what costs you the most calories in any sandwich, so you might want to eat only half and save about 100 calories. Avoid all the Market Fresh Sandwiches — they’re very high in calories. All their dressings are pretty high in calories, too. Your best bet is the Balsamic Vinaigrette Dressing at 130 calories per serving. Fit Tip: If you want a side, choose green beans (20 calories) or a large corn on the cob (140 calories). For salad dressing, use the Hidden Valley Original Ranch Fat Free Dressing — it’s only 35 calories — or the Marzetti Light Italian Dressing, which is only 10 calories. All the grilled chicken offerings have fewer calories, fewer fat grams and less sodium than the Original Recipe chicken. Fit Tip: Fish and seafood can be healthy… as long as they’re not battered and fried. The new “Freshside Grille” items on the menu make the choices simple. If you order the “Freshside Grille 350 calorie lunches” you can get the vegetable medley (2 ounces) for only 25 calories and the rice (2.5 ounces) for 80 calories. Go for cocktail sauce (25 calories per ounce) over tartar (100 calories).